It’s hard to live in this day and age of technological prowess and manage to have not heard of Bitcoin. Once known as nothing more than a “fictitious” currency, Bitcoin now enjoys a market share in the $10 billion range and has been used by millions in commerce and speculation. Many perspectives exist on the currency – some believe it is inevitably flawed and doomed to fail, while others sense that it was the first of its type and will ultimately become the new standard in monetary policy. You can be sceptical about the currency, but that doesn’t mean that it’s a good idea to ignore it in today’s world of e-commerce. Below, we’ll talk about the benefits that your online store can enjoy by adopting Bitcoin as a payment solution. Bitcoin users are still a relatively small bloc of online shoppers, but the fan base is die-hard and always seeking to reward those who embrace the lifestyle. 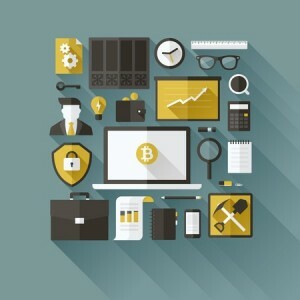 Directories exist to point Bitcoin users in the right direction for various products and services – if you offer a relatively unique product, there is a good chance that you can completely monopolize that market with Bitcoin users for the time being. Think about using Bitcoin how you would pinging for SEO: you’re appealing to a relatively small audience, but when done properly, that targeting can reap huge rewards within said audience. One huge advantage of Bitcoin is that it is a decentralized currency; this means that you effectively “trade” Bitcoins from one person to another without a central bank or any third-party. While you do have to use third-parties to convert your fiat currency into Bitcoins and vice-versa, the actual payments are done directly between two users. When cashing out your Bitcoins, the fees on many trading houses are 1% or so (compare that to 3-4% for credit and debit cards). In addition to this, intelligent use of Bitcoin eliminates risk in some areas and can greatly minimize it in others. You never have to worry about chargebacks with Bitcoin; once the coins have traded hands and are in your pocket, there is no way for the payment to be reversed. These coins will be stored either directly on your computer’s hard drive (which should be secured) or on one of the trading houses. While there are risks with these methods, they are no more likely than having your online bank account compromised or your computer hacked when dealing with trustworthy Bitcoin institutions. Much like pinging for SEO revolves around authority, you’ll want to do your research before engaging in any transactions with a trading house to verify their past history and customer experiences. Some who accept Bitcoin often seek to cash out as soon as possible, in large part because of the volatility of the market. Bitcoin has fluctuated between $250 and $1000 within the past year alone. If you can afford to set aside a small part of your overall business that will come in through Bitcoin and regard it as an opportunity for investment (with risks attached), then you very well may exponentially reap rewards in the future. Those who bought $100 worth of Bitcoins in 2009 and held on to them today are multi-millionaires.